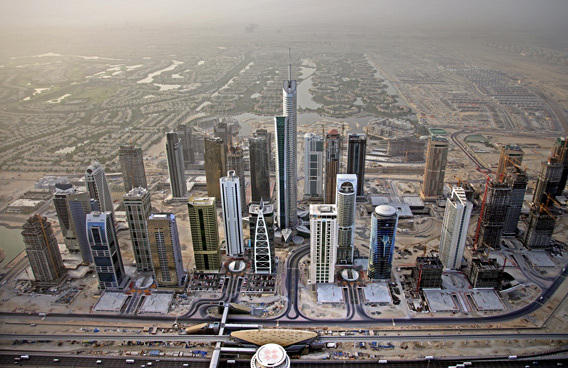 Over 1,000 property investors are expected to visit the Indian Real Estate Show, or IRES, in Abu Dhabi this weekend. The two-day event, which concludes today, is being organised by GIC Consultants and Classico Events and is intended largely for the Indian diaspora in Abu Dhabi. “We have around 17 real estate representatives showcasing various properties across west, south and north of India,” Amit Pasari, one of the show’s organisers, told Khaleej Times. India is on a high growth trajectory fuelled by the infrastructure and real estate sector. The now-$2 trillion Indian economy is poised to overtake the combined GDP of Japan and Germany in the next four years on the back of recent policy reforms and improved confidence. Much of this growth is poised to be supported by the infrastructure sector. As half of the population is under 30 years old, there is going to be a strong demand for housing and commercial space. The country’s infrastructure investments are expected to increase substantially by 2020, triggering investments in real estate. At the end of June 2010, at the height of the financial crises, the value of investment-grade real estate under construction in the country crossed $100 billion. “Indian real estate is a long-term growth story. Though investors are going through a cautious phase, nevertheless Indian real estate developers are ensuring that product innovations do not die down,” said Shilpa Gandhi, director of GIC Consultants. According to IRES organisers, Indians in Abu Dhabi have always been active in real estate buying back home. There are strong communities from western and southern parts of the country, followed by growing north Indian community. “The motive of the exhibition was to ensure that the Indians are exposed to the latest offerings across regions and get a fair opportunity to compare, evaluate and choose the most suitable real estate option at any given point of time,” said Gandhi. With population growth ever on the increase, demand for Indian real estate is expected to far outreach supply in the next 10 years. “The Indian Ministry of Housing estimates that we will be looking at a shortfall of residential units. This deficit will only increase with the country’s current rate of population growth, which is further bulwarked by the increased lifespan brought on by improved medical care in the country,” said Gandhi. It is anticipated that India will add another 215 million people to its cities by 2025.